This was both Boetticher's and Murphy's last western and everybody seems to have passed it by. Even Garfield doesn't mention it in his book which ambitiously states to review all he western shot at the date of its publishing. I don't know if it was ever released outside USA. Anyway, there's a dvd around. which is sold at amazon for a century. Was this a made for television film? It looks and esp. Sounds like one musically. Plus the running time is 72.minutes what a 90 minute program woyld be. 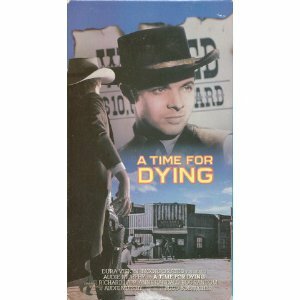 Watched the DVD thinking it was a classic Audie Murphy flick. The RoyBean bit seems lifted almost exactly from MAN OF THE WEST ( a Gary Cooper film with Walter Brennan as Bean). "Other Morton's will come along and they'll kill it off"
Possibly the most inappropriate score I have ever heard. The composer thought he was scoring a urban cop show!